The Office of the President has forwarded the letter to the Senate and the House of Representatives asking for an extension of “one year” of martial law implementation in Mindanao, Medialdea said. MANILA, Philippines — President Duterte has asked Congress to extend martial law for one more year in Mindanao, Executive Secretary Salvador Medialdea said yesterday, in a bid to continue efforts to normalize the peace and order situation and neutralize the threat of terrorism in the region. Palace officials were mum on providing further details, but the move is the third extension sought by the President since he imposed martial law on May 23, 2017 following the outbreak of violence in Marawi City. In a chance interview at the awarding for child-friendly municipalities and cities early this week in Malacañang, Interior and Local Government Secretary Eduardo Año said the Philippine National Police (PNP) and the Armed Forces of the Philippines (AFP) recommended on Monday night the one-year extension of martial law in MIndanao. “The recommendation of the AFP and the PNP is for the extension of martial law maybe for another year for Mindanao, no expansion, but of course, it will be up to the President,” Año said. “Once it is with the President, he may change it, add to (the provisions) or he may change them, or remove some,” Año said. During their joint session, Congress allowed last year the extension of martial law in Mindanao until Dec. 31 this year. The President’s request will be tackled next year once the House and Senate leadership have called for a joint session, particularly to deliberate on the martial law extension. Congress goes on recess on Dec. 14 for the holidays. Senators and congressmen would resume session on Jan. 14 to Feb. 8 next year before going on another long break for the midterm election campaign. Malacañang justified last night the President’s request for Congress to extend by another year the imposition of martial law in Mindanao in a bid to address the deeper causes of terrorism and concerns about peace and order in the region. The Palace cited the need to strengthen further economic development in the region, which can only be achieved if there is a stable peace and order situation there. Presidential spokesman Salvador Panelo said the President was “compelled” to extend the martial law powers in Mindanao to protect the Filipino nation. While there were significant developments put in place in the region, the Palace also expressed serious concerns about terrorism and rebellion spreading throughout the country if such activities that propel the two factors are not thwarted in Mindanao. “Despite these, however, rebellion still persists and the public safety compels our Commander-in-Chief to push through with the exercise of these constitutionally-sanctioned powers in order to serve and protect our nation and its people,” he said. “A halt may only frustrate the progress we are witnessing in Mindanao and may even strengthen the rebellion and propel it to other parts of the country,” Panelo said. A briefing by military and security officials for senators was set on Monday to help secure support for the proposal of the AFP and PNP for the third extension of martial law. Sen. Sonny Angara told reporters yesterday that security officials must make constitutional justification for the extension, particularly the existence of continuing invasion and rebellion. Angara said the views of residents in affected areas in Mindanao would be taken into consideration by senators in deciding whether or not to support the extension, while at the same time keeping in mind the constitutional requirements for such a move. Sen. Joseph Victor Ejercito on Tuesday said he was in favor of extending martial law as it limited the movement of private armies, and has somehow addressed the proliferation of loose firearms in Mindanao. Senate Minority Leader Franklin Drilon, however, thumbed down plans to extend martial law in Mindanao for another year. Drilon explained that rebellion is committed by rising publicly and taking arms against the government for the purpose of removing from its allegiance to the Philippines and any part thereof. 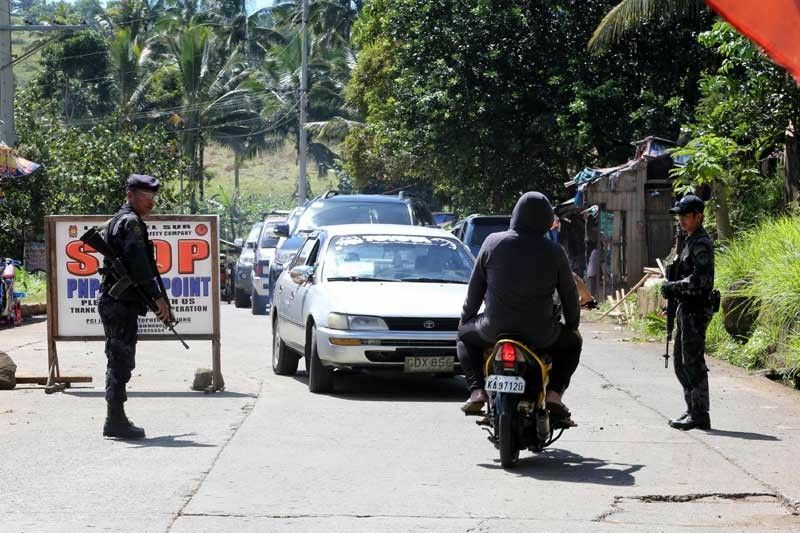 Meanwhile, human rights group Karapatan has warned that the looming martial law extension will breed more rights violations, aggravating the already worsening situation in Mindanao. From May 23, 2017 to Nov. 30, 2018, with the imposition of martial law in Mindanao, Karapatan claimed that it had documented 88 individuals killed by soldiers, police and paramilitary groups, while 128 individuals were victims of frustrated killings. At least 1,450 have been illegally arrested, while hundreds have been detained on false charges. Some 148 individuals are also being harassed with trumped-up criminal charges and over 300,000 residents were affected by bombings of communities by the military. Karapatan deputy secretary-general Roneo Clamor emphasized that these figures only refer to documented violations. “Those that are undocumented would give a much more grim picture of the effects of martial law,” Clamor added. Karapatan noted that the Duterte government has increasingly used the filing of trumped-up charges and the planting of evidence as maneuver to criminalize dissent.